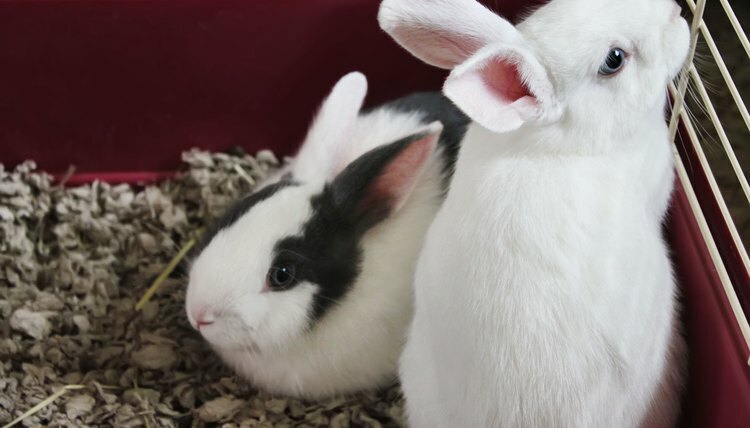 Pet rabbits can be messy, and although most rabbits can be trained to use a litter box, sometimes accidents happen. When your pet rabbits have accidents on their bedding or in their cages, the mess must be cleaned up right away to prevent odors. Vinegar is not only inexpensive, but it is also a natural deodorizer and disinfectant. 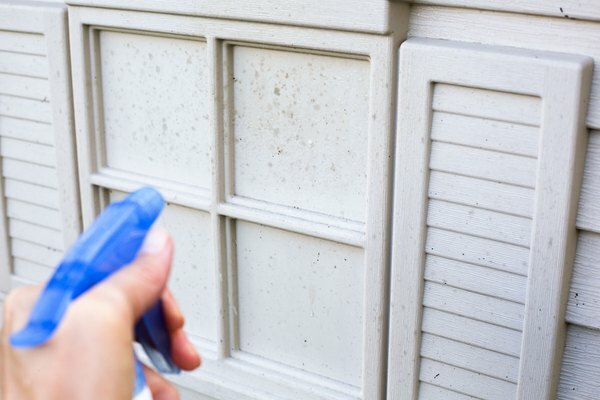 Fill the spray bottle with straight white vinegar. Do not dilute the vinegar. The vinegar has acidic components that penetrate and break up the rabbit urine, no matter what kind of material the urine is on. Spray the soiled surface. 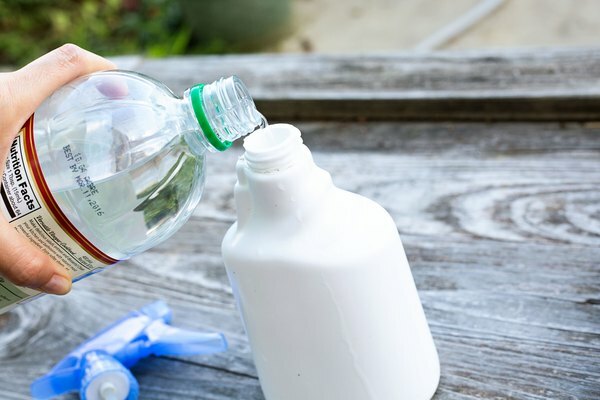 The white vinegar will clean the urine and neutralize the odor. Allow one to two minutes for non-porous surfaces like cages, hard flooring, patios or decks. Allow five to 10 minutes for porous surfaces such as bedding, carpets and pillows. Scrub non-porous surfaces with a sponge or cloth. Scrub porous surfaces with a soft-bristled scrub brush. Blot up as much vinegar as possible with paper towels, then rinse well with clean water. Allow the surfaces to air-dry. If porous surfaces such as pillows and bedding can be laundered, use a non-toxic, all natural and fragrance-free mild detergent. Rabbits can be sensitive to soaps, detergents and fragrances and can develop serious respiratory problems. 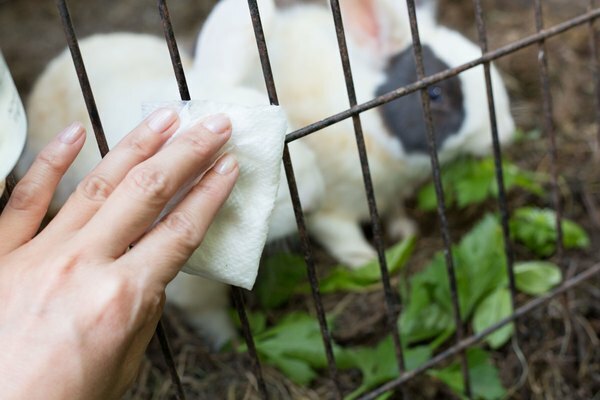 Dry the materials completely before placing them in the cage or letting the rabbit play with them.